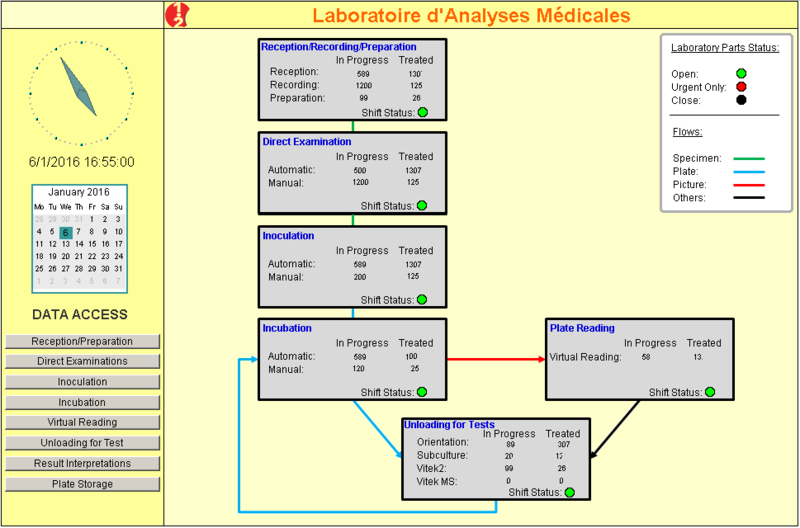 Healthcare sector has been using simulation for long, as part of the teaching and research process. Simulation should also take place to better understand the flows circulating in the complex systems that are care units, hospitals centres or medical laboratories. Simulation helps managing different skills and schedules, reducing cycle time, delays and stocks, dimensioning equipments. Dimension the various analysis devices. Dimension the number and size of incubators. Optimize dispatching on multi-purpose equipments. Ensure permanent capacity at the lowest investment and working costs.